Ponytails aren’t just simple and functional; they’re also totally chic. This is just one of the reasons why we’re so excited to be seeing them all over the New York spring 2015 runways. The ponytail trend isn’t following one simple guideline though. From the soft waves at Jason Wu to the grungy side style at Tess Giberson, there are a slew of ponytails we can’t wait to rock out next season. Jason Wu’s spring 2015 collection was accompanied by a Lauren Bacall-inspired hairstyle. “We wanted to translate this into something much more modern. So we created waves and then we put it into a ponytail because we didn’t want everything to be retro,” hairstylist Odile Gilbert explained. Keeping loose hairs in the front sleeked down with Kerastase gel and an added little bit of volume in the back above the ponytail holder, we can’t wait to try this subtly gorgeous ponytail. A totally different approach to the ponytail was seen at Cushnie et Ochs with a sleek straight pony and an added bubble effect at top. After pulling hair back into a tight pony, Antonio Corral Calero for Moroccanoil puffed up the hair, tied off with a clear elastic and pinned the elastic to the hair underneath the ponytail. It’s just so simple! 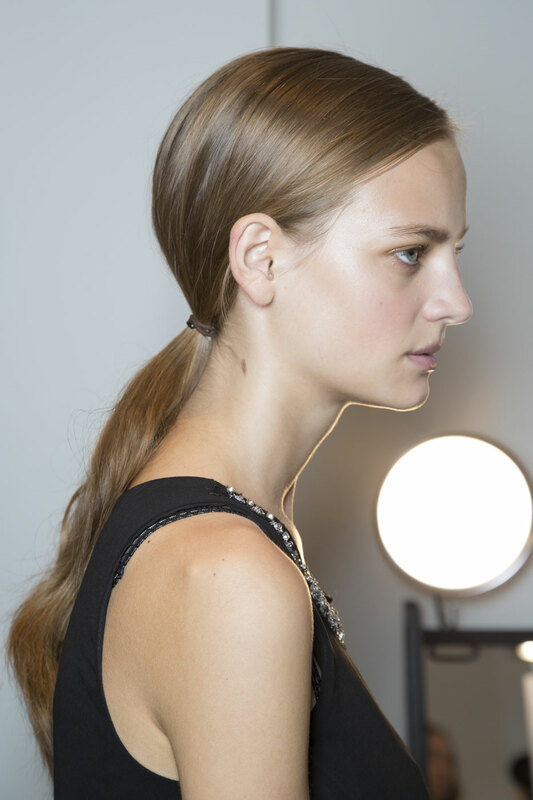 A more grungy ponytail was seen at the Tess Giberson show. 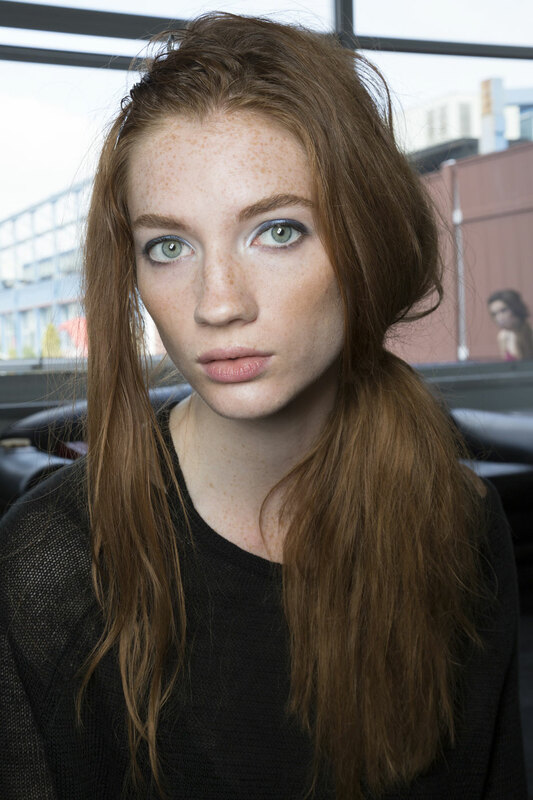 This side pony is a grungy look in a totally messy chic way. With just a little teasing and pulling of loose hairs, we can’t wait to sport this look on lazy weekend filled with errands and brunches.